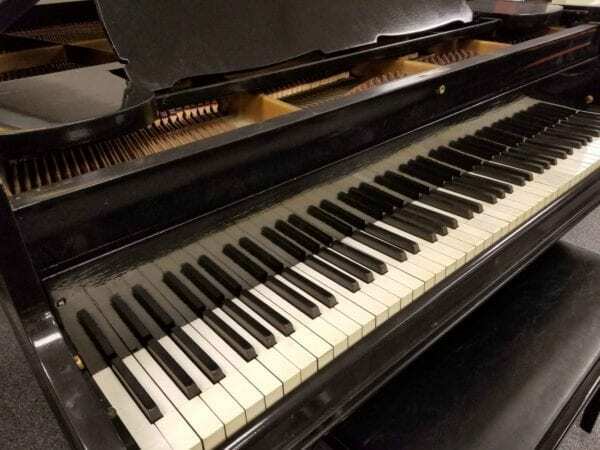 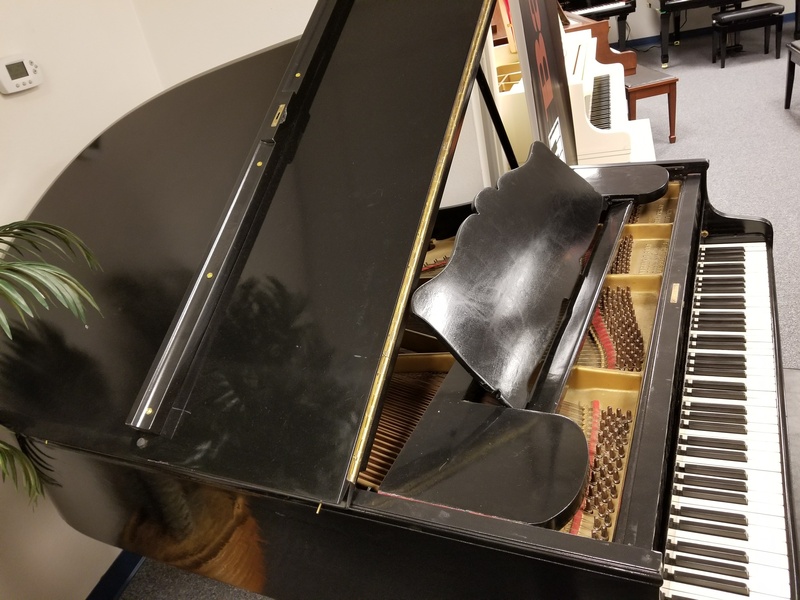 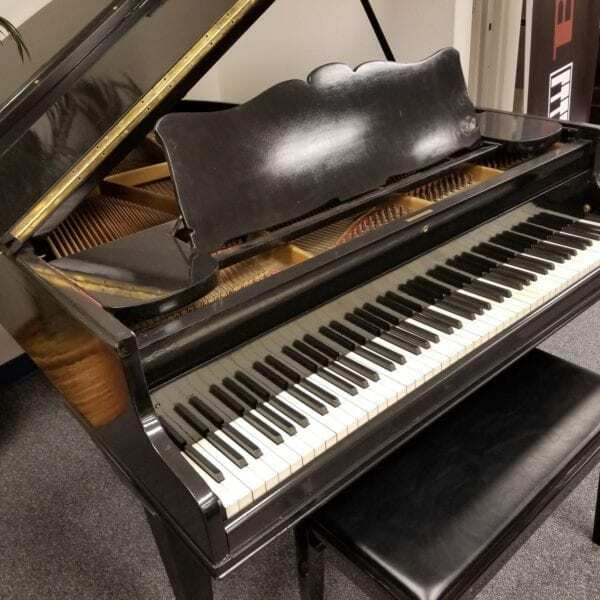 This classic baby grand by Chickering was just refinished in ebony. 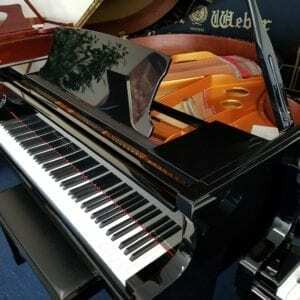 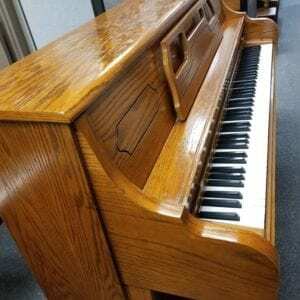 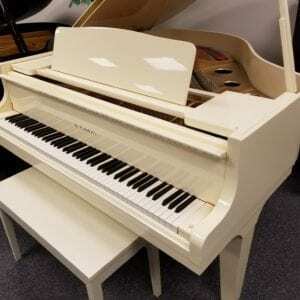 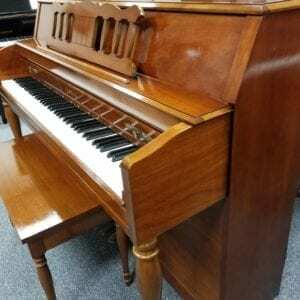 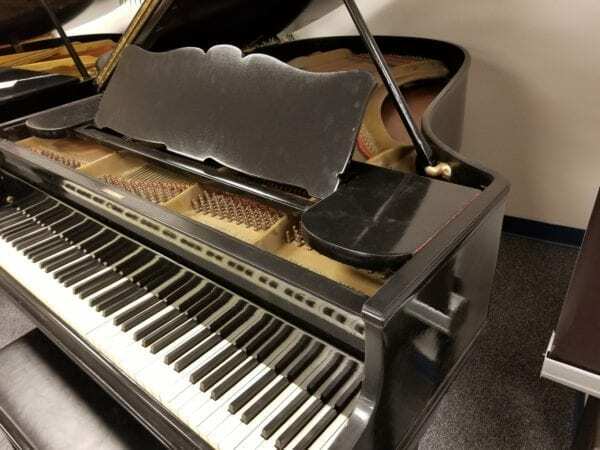 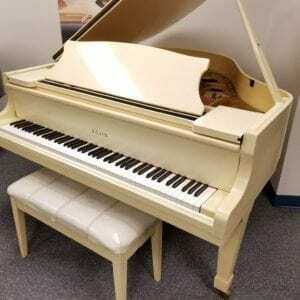 We’ve found or engineered all the parts, so the piano plays nicely, and at a great value. 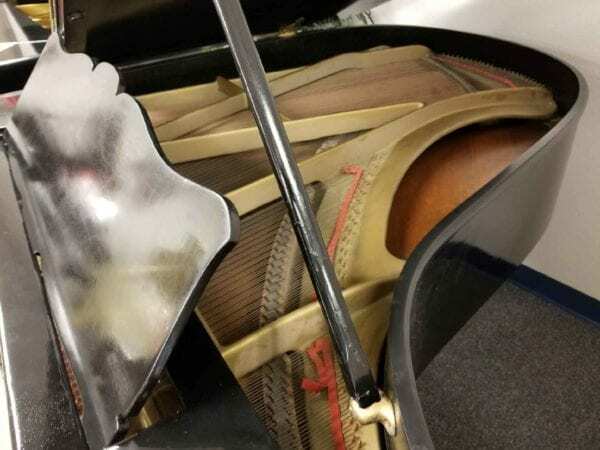 Nice look, and a fine starter for a beginner or introductory player. 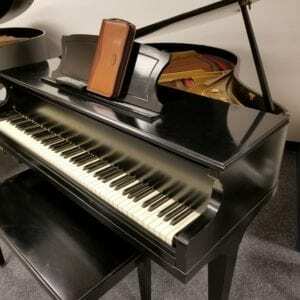 Click on the featured picture where you see the arrow, to hear this piano played!